Brij Bhushan Lal Charitable Trust founded the D.D. 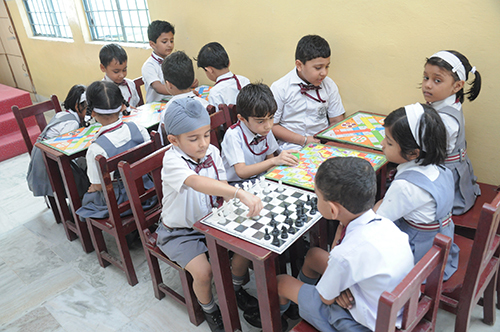 Puram Campus in the year 2002 to provide an enriched environment, academic stimulation and many social opportunities to the children in their toddler life. 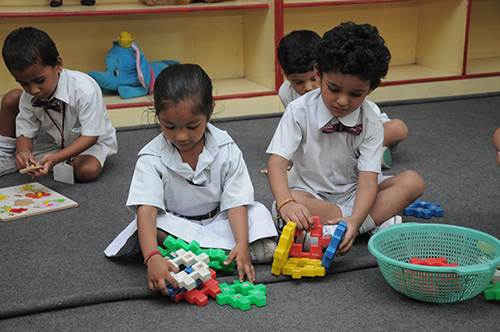 The campus is a comprehensive centre for Pre-School Education and facilitates in grooming young minds and provides dynamic and complete development of children from Pre-Nursery to Kindergarten. 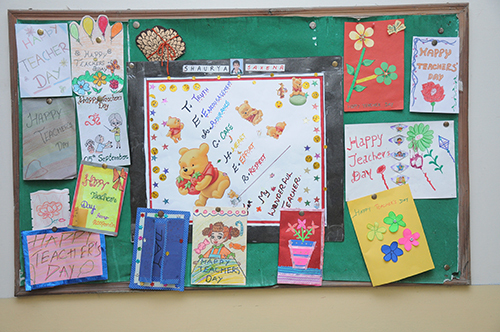 Our campus is a suitable place for the kids of tender age as they find themselves in the safe and tender hands of loving teachers who nurture them like delicate flowers. Fun and frolic fill most of the day time with the intention of taking these kids in the right direction. Colourful designs and pattern adorn the corridor walls and a wonderful world of lovely cartoons and fairies is seen in the activity room. The Pre-Primary wing bubbles with three and a half to five year olds who need special care and handling with activities to augment their emotional and physical well being. 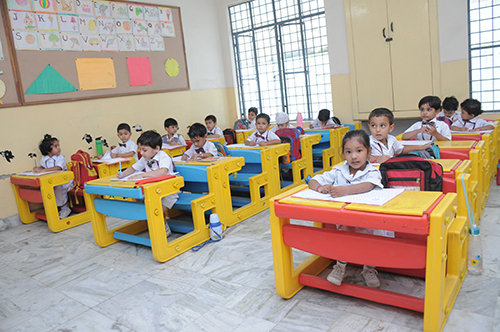 Kids are provided with colourful learning atmosphere complete with different pleasure providing activity areas and games inspiring them to learn simple skills of reading, writing and counting numbers. For the same, the school manages a bouquet of qualified, efficient and committed teachers who guide them by following an easy and interesting curriculum and strive hard to make the entire learning process enjoyable for the children. The school features spacious and well ventilated class rooms with Media Distribution system that supports audio-video communication. The use of audio visual aids is well integrated with school curriculum. 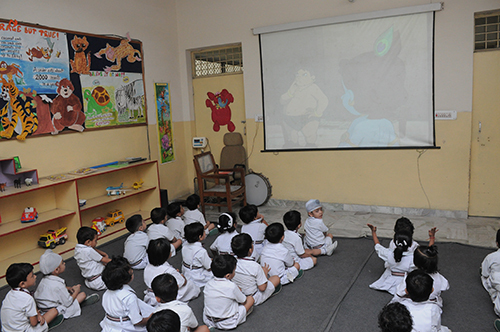 A large collection of educational CDs and DVDs are used regularly as teaching aids for the enhancement of the students learning. Arrangement of auditorium is made in the school building which accommodates good chunk of students for any activity. 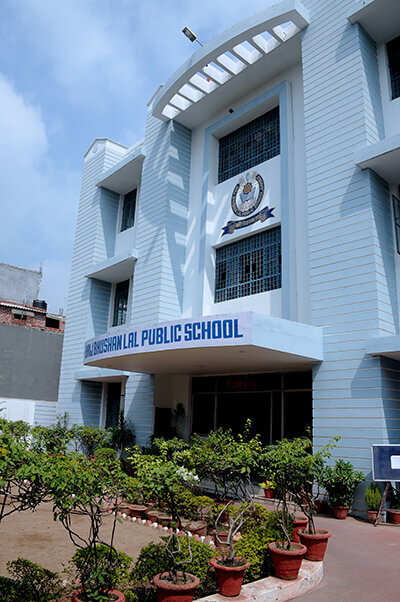 The big hall of the school is perpetually abuzz with plethora of activities ranging from drama, exhibition to dance classes. We have an assembly ground surrounded with trees all over. It has a beautiful stage where kids perform prayer and bits of the day. Slides and swings are placed on sides too. The Indoor sports room is a spacious hall that caters to playing indoor games and fun rides, tri cycle, slides and for other physical activities of the children. School features a room for dining and learning of table manners. Kids go to the dining room on their turn escorted by their teacher thus giving shape to practical learning of table manners. School has the facility of water purifier & coolers to provide pure supply of water to entire school. Availability of Gen set supports entire school with power back up. Cleanliness and maintenance of hygienic surroundings is our top priority. The campus is cleaned thrice everyday with safe products which are kept at a safe distance from the prying hands of the children. The school is secured so that only authorized staff and families may enter. Only pre-approved people with photo identification may pick up the child.